A child’s initial memories revolve around his parents and siblings. To them, their family is their world. All too often, grandparents find themselves filling this role. The reasons for this are plenty. Maybe the parents are out of state. Or maybe the parents are using drugs or are in prison. Sometimes a parent just wants a break. Florida law recognizes this, and has set up a method for grandparents and other loved ones to obtain temporary custody. The official term is Temporary Custody by Extended Family. But to the child, it’s a haven and a home. Grandparents, aunts, or adult siblings who find themselves caring for a child have a way to obtain temporary custody. There are certain basic requirements. These include being an actual family member, and having physical custody of the child for at least 10 out of the last 30 days. Once in court, the judge must decide if the parents are unfit. This is a tough choice often, and really depends on what’s going on at the time. The judge has to consider many practical things, such as the stability of the parents, and how much the parents have been helping out. There must be some proof that the parents have abandoned the children, or abused them. Upon the granting of a petition, the parents can be directed to help support the child. So how does having temporary custody help? Easy answer: temporary custody enables a grandparent to obtain medical care for the child. It provides authority to enroll the child in school, obtain medical and school records, and make all the decisions which parents would otherwise make. It also gives a lot of grandparents piece of mind. They don’t have to worry that a parent will show up in the middle of the night, demanding custody. And they can have the parents visit in a place which is safe. Any parent can also reopen the case and seek custody. If they do, the parent must show the court that they are now fit and ready to assume parenting. At all times, the best interests of the child is most important. 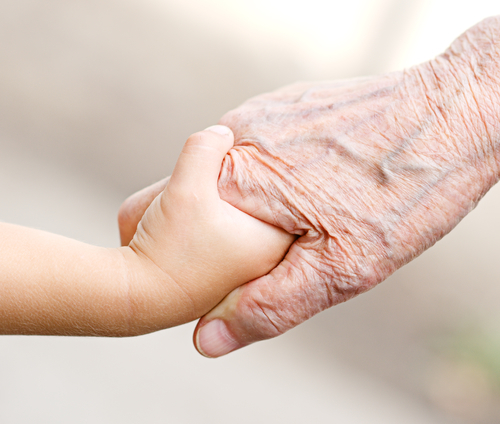 Our office has handled many temporary custody and grandparent adoption cases over the years. And lately, we have been hired by several grandparents who already have temporary custody. The parents have reopened the case, alleging that they are fit. Often parents will come back into the child’s life briefly, and then disappear again. But there’s also some great outcomes, where the parents and grandparents find ways to work together. That’s a “win win” in my book. And I bet the kids will agree.